While we all know July 4th as Independence Day, it is also a day of celebration! And, any party on this day is almost incomplete without some finger-licking barbecue. Host a Fourth of July party where you can don the chef’s hat and volunteer to barbecue in your backyard for friends and family. 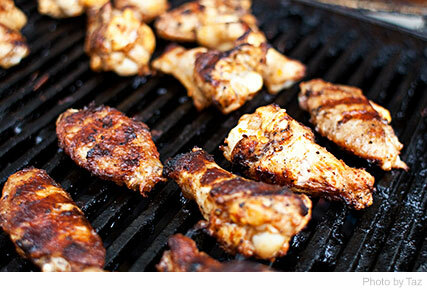 Here are some simple barbecue marinade recipes to help you host a memorable party with all kinds of delectable dishes. Directions – Whisk together all the ingredients till smooth. Marinade the chicken for more than 6 hours. Baste with butter every 10 minutes. Zing factor – Indian marinades are spicy but delicious. Replace the cumin powder with a ‘masala sauce’ (easily available in supermarkets) if you want to bring down the spicy factor! Directions - In a bowl, mix together thyme, salt, black pepper, garlic powder, cinnamon, coriander, ginger, cayenne pepper, allspice and nutmeg. Add curd or water along with honey to make a paste and marinate the chicken. The powder marinade can be stored for up to 3 months in an airtight container. 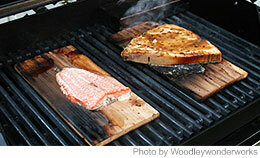 Zing factor – The marinade works fabulously with fish, seafood, poultry or any other meat. In other words, it’s versatile! If you’re in an adventurous mood, try blending in a little soy sauce with curd and marinate. Directions – Every 1/2 cup of this marinade is perfect for 1 lb. of chicken. Chicken and other meats should be marinated for more than 6 hours while fish and seafood could do with an hour. Zing factor – The marinade is perfect for chicken, pork chops, and ribs. Feel free to replace the apple vinegar with apple juice if the former is difficult to find. Directions – Mix all the ingredients in a bowl and marinate the chicken overnight. Cook and eat up the following day! Zing factor – The bubbly and tangy flavor of the marinade is brought about by the soda. Throw in some of it into the marinade while you are making yourself a nice glass of Purple Hooter! Directions – Mix all the ingredients and refrigerate the marinade overnight. Mix in the chicken and refrigerate again for another 4 hours before putting it into the oven. A cup of this marinade is enough for 1/2 lb. of chicken. Zing factor – The marinade skips the acid in lemons and vinegar and instead opts for orange juice that’s tangy as well as richly fruity. It acts as a wonderful tenderizer besides acting as another texture to the meaty flavor.